Life’s journey can have wide emotional swings of all kinds, going left and right, up and down. This had to be true with Mary, the mother of Jesus. Without trying to be exhaustive, this article will look at some of her experiences that lifted her to the highest pinnacles of joy, and some that plunged her into the deepest pits of pain. But she survived them all – the highs and the lows. She had to be a very tough lady, strong in faith, to handle it all. 1. The first came when as a young girl perhaps sixteen years old, she was met by an angel. What she heard surely made for a powerful and positive moment loaded with emotion. “I am the Lord’s servant,” Mary answered. “May it be to me as you have said.” Then the angel left her. (Luke 1:26-38). Her heart must have been pounding as she tried to process what she had just been told! Mary might have been only sixteen years old, but she was highly resilient and very mature for her few years. 3. Her emotions swung again, this time to positive joy, when Joseph shared with Mary that an angel had appeared to him in a dream and told him not to be afraid to take Mary as his wife, because her baby was “of the Holy Ghost.” And the angel added, “she shall bring forth a son, and thou shalt call his name JESUS: for he shall save his people from their sins” (Matthew 1:20-21 KJV). 4. Mary’s emotions must have been off the charts when she as a very brave female teenager started out, obviously alone, on the ninety mile trip to the Judean Hills south of Bethlehem. Seeking verification from Elizabeth that she was in her sixth month could have been one of the reasons for the trip. Another might have been to get away from the wagging tongues of Nazareth who spread the word Mary was pregnant and unmarried. 5. Think about who was in the room: a teenager, a grandmother and the Holy Spirit. I’ve actually wished many times I could have been over in a corner watching and listening. For he that is mighty hath done to me great things; and holy is his name…. Please understand, dear reader, Mary also had to make, alone, the ninety mile trip back to Nazareth. Wow! What a strong young woman. 6. Joseph and Mary had to make the trip to Bethlehem to register and pay their taxes when Mary’s delivery of her Baby was so near. Mary’s emotions had to peak again when she actually delivered Baby Jesus in the stable and held him in her arms for the first time. Any mother can have some identification with Mary in those moments. 7. How could Jesus’ mother ever forget when she and Joseph took Baby Jesus to the temple for His dedication how Simeon shook their world a week later. “A sword will pierce your own soul too,” the prophet foretold (Luke 2:35). I don’t think Mary ever forgot that statement. Her emotions had to swing back to the negative. 8. Wouldn’t you have liked to witness Mary’s reaction when the Wise Men showed up at the house where she and Joseph were staying? (Matthew 2:11). Then those men stepped off their camels and started walking toward the house, holding presents. Joseph could have been present to let the strangers in the house. Their interest was to see Baby Jesus. How does even an older teenager handle all of that emotion? Did Mary’s mouth drop in awe and amazement when they bowed down and started worshipping her Baby? Did this poor couple hug each other as the tears poured, when those Wise Men presented Baby Jesus with their gifts – gold, frankincense and myrrh? They were showered with quite possibly more wealth than this young couple had ever seen. When Joseph told Mary the dream, surely Mary’s emotions swung again; her Baby was in grave danger. But how would they live in Egypt? I wonder which one of them said it first: We’ll live on the gold the Wise Men gave us! And they obediently headed for Egypt under cover of night (Matthew 2:13-15). 10. After they returned from Egypt and settled in Nazareth, Joseph and Mary took Jesus to the temple as a young boy of twelve, only to lose him when they headed back to Nazareth. They thought he was in the crowd, but they were oh so wrong! Mary’s emotions surely nosedived. For three long, heart-breaking days they searched all over Jerusalem. Many parents can identify with this frantic emotional swing, when as parents they have realized they didn’t know where their child was and began to fear for his life. 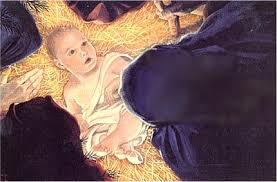 Joseph and Mary could have wondered if the lad had been kidnapped and if they would ever see him again. But the one place they had not looked was in the temple. They went there last and it’s where they found him. The temple scholars had been amazed at the lad’s sharp questions and answers. “Why did you need to search? Didn’t you realize that I would be here at the Temple, in my Father’s House?” But they didn’t understand what he meant. Then he returned to Nazareth with them and was obedient to them; and his mother stored away all these things in her heart (Luke 2:49-52 TLB). 12. Dear reader, will you please try to put yourself in Mary’s shoes and think of her emotions at the horrible first sight of her son, mangled and bloody, hanging on that cross? The scene surely burned into her consciousness and stayed with her as long as she lived. Mary would have been very willing, even eager, to take a sword in Jesus’ place if it would have saved her innocent son. “Why couldn’t it have been me,” Jesus’ mother surely screamed out. Any good dad or mom would have had the same thought. When she got that first look at her bloody son hanging on three nails and wearing a crown of thorns, the sharpest sword driven into her body could not have hurt any worse than the razor-edged emotional blade that cut its way into her soul. Part of her agony surely was she could do nothing to help Jesus, neither to ease His shame, or even to lessen the off-the-charts pain. According to the social customs of the day, the primary responsibility for caring for a widowed mother went to the oldest son. In this family, it fell to Jesus who was literally, right before their eyes, dying in the most intense agony. Yet, He tenderly honored Mary’s undying love. As her firstborn, Jesus proceeded to provide for His mother’s future. Jesus assigned her care to the Apostle John who was standing at the foot of the cross with Mary and the other women. John described himself as “the disciple Jesus loved” (John 20:2; 21:7, 20). Jesus told John to take Mary into his home and into his heart as his own mother. Jesus also told His mother to receive John as her own son. It is a warm and caring portrait of our Savior, who with some of His last breaths, showed His intimate feelings for His mother, and the confidence He had in John. Jesus gave John the assignment to complete in Mary’s life all of the responsibilities Jesus would no longer be able to perform. It is worthy of note that Jesus did not have a half-brother who was up to the assignment to care for His mother like He wanted her cared for. Jesus’ action laid the foundation for a ministry of completion in the church. Mothers are often left as widows to care for children without the help of a father. The numbers also continue to grow of fathers left to provide for children without the blessing of a mother. Two of the most common reasons are death and divorce (which is also death in a form). 13. Yes, the image of Mary’s Son on the cross was burned into her memory and marked her emotions until her death; she would never forget it. We do not know how long Mary stayed at the foot of Jesus’ cross. But powerless to help, she had to walk away at some point and leave Jesus hanging there. What an emotional plunge went with her steps. She probably simply wanted to go into hiding, and grieve with maybe a handful of safe friends. Her agonizing grief lasted for three days that seemed like an eternity. 14. My dear reader, will you also let yourself picture Mary’s emotional swing when some unnamed person brought her the message, and it began to sink in, that Jesus had walked out of His tomb? Go ahead. Let yourself try to identify with the huge swing in her emotions from watching her son die on a cross, to having a resurrected Son. Mary lived through each separated by three days – at the very bottom of the charts and then at the very top. Please let yourself try to imagine both. If you do, you will comprehend anew what a strong woman she was. If you capture both of those emotions you will also be able to celebrate the true meaning of Christmas this year, and understand it cannot be separated from the message of Easter. Of the multiple conclusions that can be drawn from Mary’s story, one that is very certain is this: when we walk with our faith in God we can carry a load far heavier than we think we can. WOW! Greetings and thanks, Dr. Frank Tunstall, for your astounding message regarding Mary’s “Mood Swings”. I do not recall ever hearing a sermon or classroom presentation on this powerful subject. This message is a inspiring “masterpiece”!